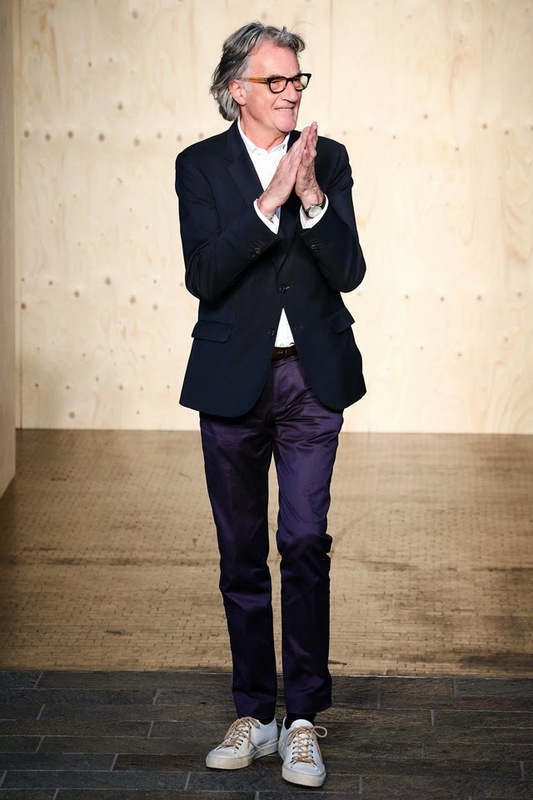 On Sunday I was lucky enough to attend the SS15 Paul Smith show. I decided not to miss the collection whilst staring through a lens and took a few phone snaps instead, which you can see on instagram. All of these beautiful images have been taken from Style.com. Held in the bright, open show-space at 1 Granary Square, one by one Paul Smith clad models made their way around a figure of eight walkway. 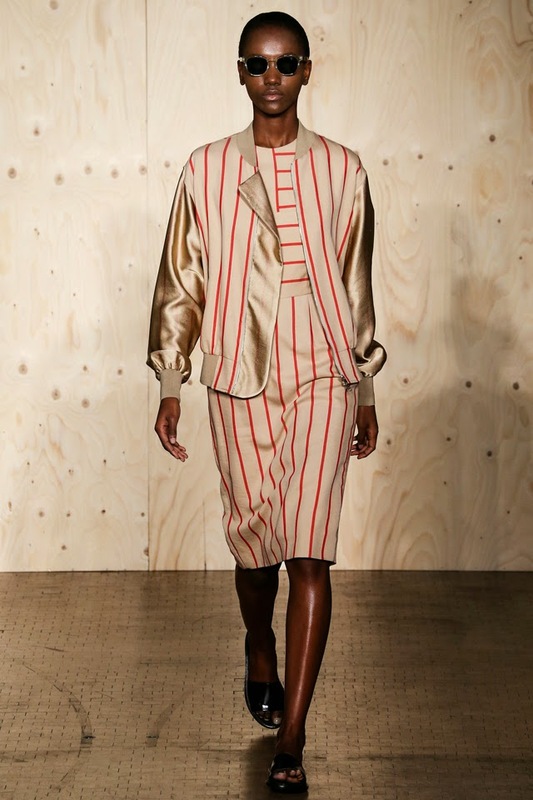 "Relaxed" sprang to mind as loosely tailored shirts and jackets sauntered past in stripes or muted tones. 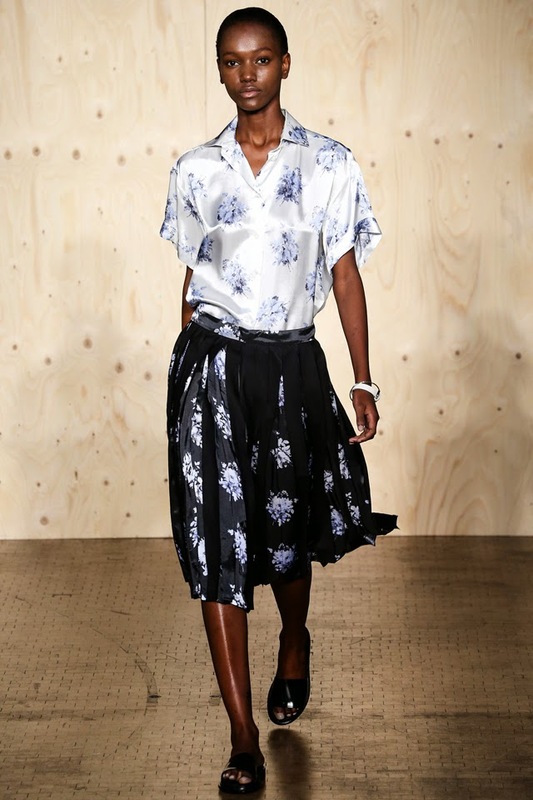 Many models walked with hands in pockets too, to amplify that casual, boyish look, and even the more feminine finalé garments featured dropped waists and emitted a leisurely vibe! 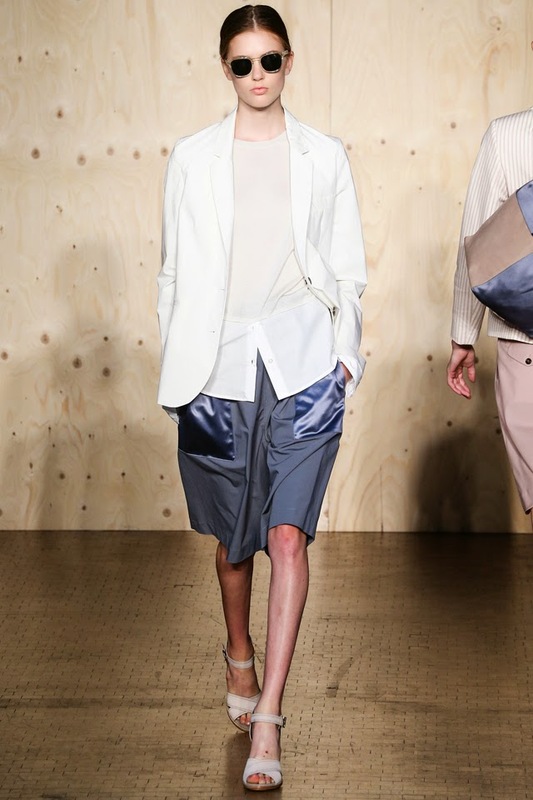 Favourite styles included oversized culottes in a gorgeous grey-blue and stripes, as well as a striped, mannish style jacket worn over a shirt dress. 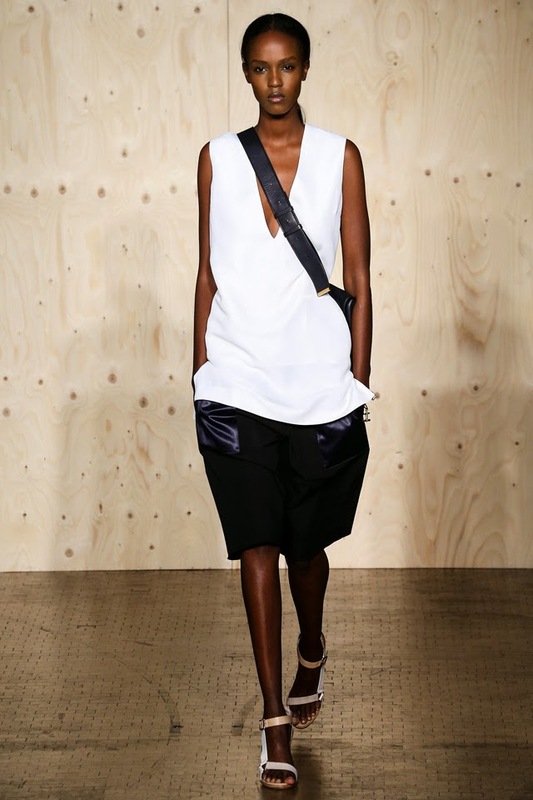 What's fab about this collection is how wearable it is; I love its understated coolness. I just LOVE him, his collections are always in my favourites list every season. Bow down to Sir Paul.